Salem’s Broadway Commons was packed with supporters of the Marion County Reentry Initiative on Tuesday morning, October 25. The 8th annual “Giving People a Second Chance” community breakfast focused on housing and homelessness and the challenges faced by people reentering our communities following incarceration. The program kicked off with videos highlighting the stories and struggles of reentry clients rebuilding their lives and the importance of stable housing as a factor in long-term success. Attendees heard from landlords who don’t shy away from giving second chances and choose to focus on a tenant’s future rather than his or her past. Homelessness is an epidemic in our community with added barriers for those with a criminal history. Marion County is working towards creating more transitional housing for reentry clients. The goal is to provide a supportive and structured environment immediately upon release. Marion County’s proposed project replicates Eugene’s Roosevelt Crossing operated by Sponsors, Inc.
Deputy District Attorney and keynote speaker Paige Clarkson remarked on a new collaboration among local public safety agencies to prioritize treatment over incarceration for low- level drug offenders. Ms. Clarkson oversees the Drug and Institutions team and is leading Marion County in the innovative Law Enforcement Assisted Diversion or LEAD program. LEAD seeks to divert offenders from prison and address substance abuse issues while maintaining accountability. She explained this is not the traditional model for prosecution; however, a new approach is necessary to address long-term prison populations and create a system that provides clients with avenues for successful reintegration into our communities. Commissioner Janet Carlson, who has championed the reentry initiative from its inception, gave the annual progress report. Annually, about 600 people return to Marion County from incarceration, with a total of 3,600 clients on parole or probation. By providing comprehensive services, Marion County has seen dramatic reductions in recidivism – defined as committing a new felony crime within three years of release. The county’s recidivism rate has seen a steady decline since 2002 when it was 37%. Recidivism dipped to an all-time low of 14% in 2014 and has been holding steady at roughly 20% for the past two years. Programs that have made a difference include prison reach-ins where offenders get to meet community corrections and nonprofit staff prior to release and learn about available resources. Student Opportunity for Achieving Results, or SOAR, is an intensive 12-week program on the Chemeketa Community College campus that combines post-prison supervision with cognitive and motivational programs, parenting classes, substance abuse treatment, and employment services. Other reentry strategies include the De Muniz Resource Center, employment services, legal clinic, recovery mentors and a new volunteer program. Local attorney Catherine Trottman is organizing Inspire. She is recruiting volunteers to lead workshops that encourage reentry clients to learn new skills, engaging them in pro-social activities. Workshop topics range from cooking and gardening to resume writing and job interview tips. For information or to volunteer, contact Catherine at catherinetrottman@gmail.com. Closing the program was Joshua Lair. We were first introduced to Joshua and his daughter at the 2014 breakfast where both were featured in discussions about the effects on incarceration on children. 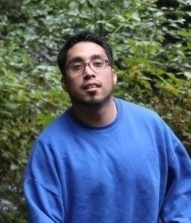 Joshua has since successfully completed SOAR, continued his education at Chemeketa Community College, and now is employed as a mentor at Bridgeway Recovery Services. Equally important, Joshua is a successful father and husband, and giving back to the community. We thank him for sharing his story. 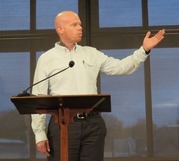 View our event photos, videos, and annual progress report on Marion County’s website http://bit.ly/MCRIbreakfast. Do you have an expertise or special interest that you would be willing to share with others? The MCRI Inspire program is recruiting volunteers to lead workshops on a variety of topics to help participants learn about positive, pro-social activities that will help them succeed. MCRI Inspire needs volunteers that can lead workshops on a variety of topics, such as a particular skill, like cooking, or geared toward professional resume writing or interview skills—and so much more! Upon learning of the Marion County Reentry Initiative, Catherine began imagining ways she could help build on local efforts. Over the last year, Catherine has explored options and is excited to launch the new MCRI Inspire program. This program will weave together local talent, provide a safe and supportive learning environment, and encourage MCRI clients to learn about new skills and interests that will assist them in their successful reentry into the community. For more information or to volunteer, contact Catherine at catherinetrottman@gmail.com. The 23rd class of SOAR students (Student Opportunity to Achieve Results) at Chemeketa Community College graduated on September 9. SOAR is a 12-week intensive treatment program where students, who are at medium to high risk to recidivate, gain skills to navigate their future as productive community members. It is a rigorous evidence-based curriculum. The completion rate of 57% reflects this rigor. Many graduates have described participating in SOAR as a life-changing – and life-saving – experience. Read Robert's story here. SOAR is delivered in collaboration with staff from Marion County Community Corrections, Bridgeway Recovery Services, and Marion County Health Department, plus volunteers that serve on employer panels. For more information, or to attend the next graduation ceremony, contact Deb Giard at dgiard@co.marion.or.us or (503) 949-4614. 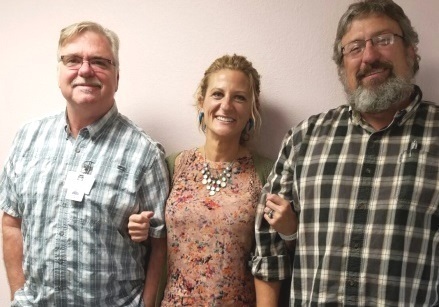 After more than five years with Community Action Agency and guiding the services of the De Muniz Resource Center, Craig Bazzi retired in July. Taking over the reins is April Cox, an experienced professional in the world of corrections and human services. 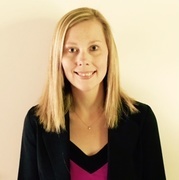 April worked in Nebraska as a parole officer and later as an employment project coordinator for the Nebraska Department of Labor. 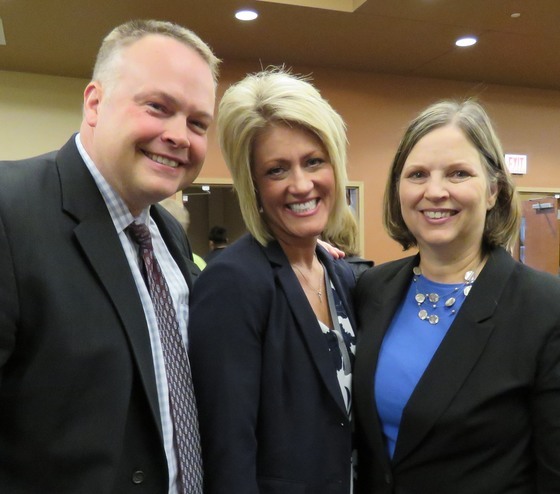 Jon Reeves, Community Action director, said, “April has a great mix and depth of expertise that is complementary to the work of our partnering organizations within the Marion County Reentry Initiative. Her knowledge of the systems and supports for people exiting incarceration is a wonderful addition to our Community Action team.” Welcome April! Tim first came into the De Muniz Resource Center after a move from Santiam Correctional Facility to the Marion County Transition Center. Tim attended the employment orientation - a starting point for “employment readiness.” The employment orientation helped Tim create his resume and improve his interviewing skills. It also provided guidance on how to present himself favorably to an employer. Tim engaged in individual coaching with the center navigator and program assistant, discussing his interests, skills, barriers, family support issues and path to success. He also received bus passes made possible through United Way so that he could conduct job searches. Tim is well known for his contagious enthusiasm, positive attitude and drive for success. This made him an excellent candidate for the Marion County Jail Reentry Program, which affords participants an early release by completing an in-depth curriculum consisting of cognitive programming, parenting, recovery, housing, employment readiness, and counseling services. The Jail Reentry Program is delivered collaboratively by the De Muniz Resource Center, Marion County Community Corrections, and Bridgeway Recovery Services. 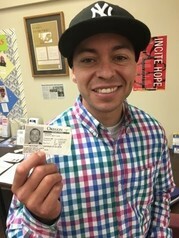 Since completing the Jail Reentry Program and transitioning to the community, Tim has acquired full-time employment, working enough hours to reinstate his driver license and buy a reliable car. He has been instrumental in supporting his peers and continues to be a model of success for those that will follow him. Tim is a proud display of self-determination and the vision of the Marion County Reentry Initiative. With the dual intent of diverting low-level property offenses from prison and keeping families intact, the Marion County District Attorney’s Office and Marion County Sheriff’s Office designed the Family Sentencing Alternative Program. As of the first of September, thirteen individuals have entered the program, the majority of who are females with drug or alcohol addictions. 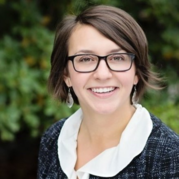 “Working closely with these parents and coordinating efforts with agencies like the Oregon Department of Human Services and Bridgeway Recovery Services means families get the support they need to turn things around,” said Wendy Bales, parole officer for the program. Reentry to community life after being incarcerated is a big transition. Professional mentors employed by Bridgeway Recovery Services guide clients through this transition to a place of stability in the community. That can mean being a listening ear, but it includes much more than that. Acting as a liaison for returning offenders with supervision officers, community resource agencies, alcohol and drug treatment and housing is a lot of what they do in their work with their mentees day to day. Ted Woodruff, a Bridgeway mentor for more than three years, uses his own life experiences of recovery from addiction and criminality in his work with men transitioning out of Oregon State Penitentiary. Here's how Ted describes some of what he does. Mid-Valley Literacy Center needs tutors in English and Spanish GED, ESL, computer skills, and citizenship classes. No experience necessary! The next training is November 5th. Please visit their website or contact their office at info@midvalleyliteracycenter.org for more information. Community, friends and supporters are invited for snacks and beverages in the De Muniz Legal Clinic's beautiful new downtown space on Thursday, November 17, from 4:00 to 7:00 p.m. 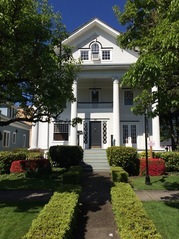 The clinic is located 675 Church Street NE in Salem just north of Union Street. The clinic involves local volunteer attorneys to supervise client matters in their area of expertise. The clinic serves clients with criminal convictions. Students from Willamette University College of Law assist with intake and research and consult with the supervising attorneys to execute relevant case work. For more information, visit our website. For more information about the Marion County Reentry Initiative, visit our website or contact Jan Calvin at calvin.jan@yahoo.com.